Environmental defense, human rights of women, the right to information. THE FACTS – In a public statement, Radio Güija reports that last August 16th, unknown persons tried to enter the radio station through the balconies, leaving no other evidence than a 30 centimeter hole. Radio Güija suggests that this attack may be related to their work in defense of the environament and women’s human rights. 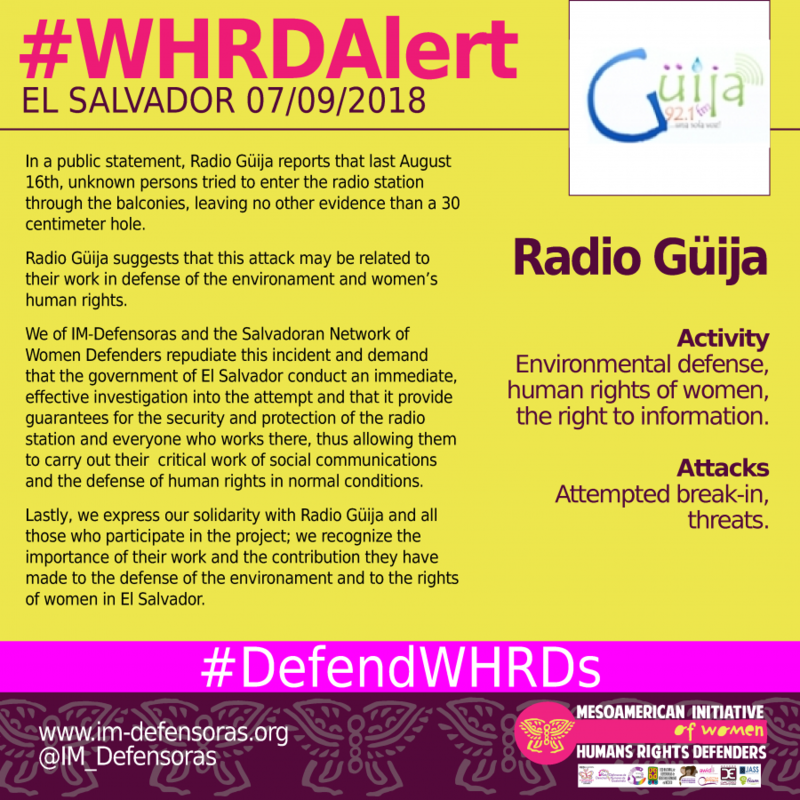 We of IM-Defensoras and the Salvadoran Network of Women Defenders repudiate this incident and demand that the government of El Salvador conduct an immediate, effective investigation into the attempt and that it provide guarantees for the security and protection of the radio station and everyone who works there, thus allowing them to carry out their critical work of social communications and the defense of human rights in normal conditions. 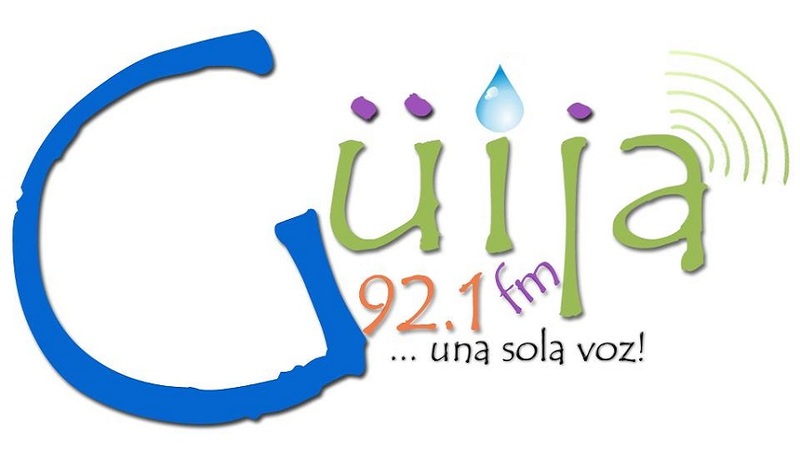 Lastly, we express our solidarity with Radio Güija and all those who participate in the project; we recognize the importance of their work and the contribution they have made to the defense of the environament and to the rights of women in El Salvador.